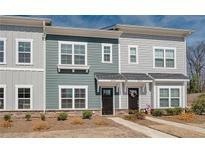 Find Denver, NC Condos for sale. View Photos, Maps and MLS Data Now! Seller has contract with alarm company which can be transferred to buyer for $99 activation fee with $52 per month monitoring fee. Thanks for showing! MLS#3496010. Dazcon Properties. HOA dues of $165 include full yard care , mowing edging, mulch, shrubs MLS#3494090. Helen Adams Realty. Hide A Way - Getaway to this waterfront oasis lifestyle.See today MLS#3485964. Highgarden Real Estate. MLS#3486566. First Priority Realty Inc.. Very convenient location, minutes from shopping and dining. MLS#3484291. Keller Williams Lake Norman. monthly HOA includes trash pickup, Lawn Maintenance, Water, Sewer & more. MLS#3483977. West Norman Real Estate. Westport Lakeside - Westport is filled with amenities (extra charge) including; clubhouse, fitness, wim, tennis and golf! MLS#3479454. First Priority Realty Inc.. The Bluffs - (Listing agent is related to Owners). MLS#3472472. Bartholomew Real Estate LLC. Westport Lakeside - Denver is the fastest growing community around, with a direct route to downtown Charlotte. MLS#3467829. Helen Adams Realty. Owner's Suite On The Main Level! 2 Car Garage! MLS#3467519. ElleBee Realty and Associates. Owner's Suite On The Main Level! 2 Car Garage! MLS#3453149. ElleBee Realty and Associates. Owner's Suite On The Main Level! 2 Car Garage! MLS#3444279. ElleBee Realty and Associates. Owner's Suite On The Main Level! 2 Car Garage! MLS#3398056. ElleBee Realty and Associates. Westport - Owners Suite On The Main Level! Private Courtyard! MLS#3398045. ElleBee Realty and Associates. Westport - Owners Suite On The Main Level! Private Courtyard! MLS#3398049. ElleBee Realty and Associates. Owner's Suite On The Main Level! 2 Car Garage! MLS#3396525. ElleBee Realty and Associates. Westport - Owners Suite On The Main Level! Private Courtyard! MLS#3395913. ElleBee Realty and Associates. Westport Lakeside - Location, location, location as you are only 5 minutes from Lake Norman. MLS#3387069. ElleBee Realty and Associates. Westport Lakeside - Location, location, location as you are only 5 minutes from Lake Norman. MLS#3387070. ElleBee Realty and Associates.